Today I’m loving … the beautiful lamps from Dawanda shop Laser Cats. 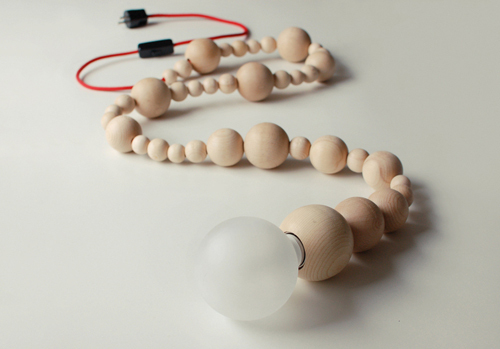 They are made from large wooden beads and have a textile cable. Love it and I need it! I love the lamp and it could be a great DIY project. 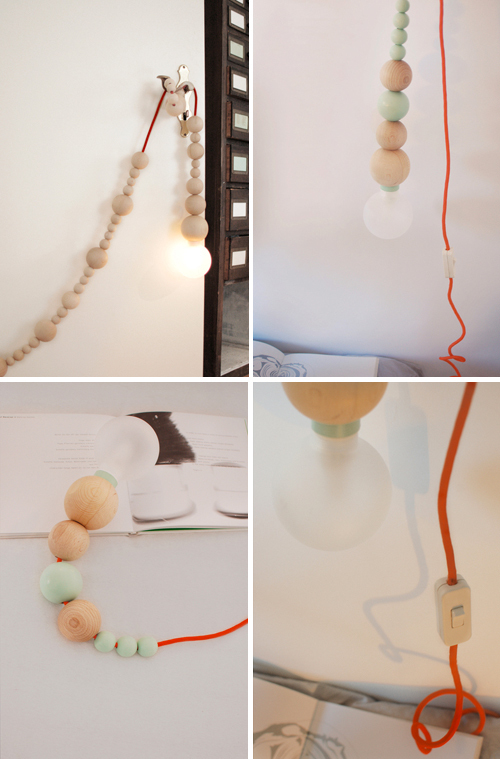 Do you know where to find such large wooden beads? My daughter would love this lamp!